Life teaches us a lot of things. One of the first and easiest to learn is that what we like and desire isn't always within our reach. While there are examples of major hopes and dreams that are unattainable, such as early retirement or our dream cottage, this reality attaches itself to many mundane facts of day-to-day living as well. 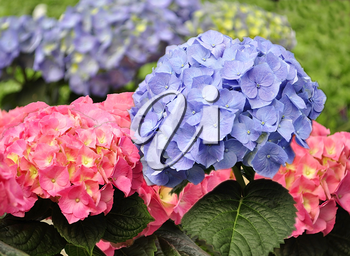 For instance — hydrangeas. I became besotted with these gorgeous blooms during a visit to wine country many years ago. Pulling into the driveway of the B&B where we were staying, I was immediately drawn to the stunning bushes filling the front bed — the verdant foliage, the glorious colours and impressive flowers, much different from the plain white ones I was familiar with up to that point. That autumn, it was of course essential that I plant some of these beauties myself. The results, however, have unfortunately been hit and miss. Then last fall, I did a little research. In my findings were hints that the fall pruning, which I'd been told was the proper care, might not have been, that the type of hydrangeas I had purchased bloom on old wood. So, for the first time I left them. And despite many naysayers and green thumbs suggesting that I had made a mistake by not cutting them back, the bushes are teeming with blooms and the promise that I will be enjoying these spectacular flowers soon. This time, it seems, I will have what I like. In the meantime, however, I found these lovely photos to tide me over, along with some tips for those who like and want to grow hydrangeas too.